Hi Everyone! My name is Jo and I blog over at Let’s Art Journal. I’m delighted to be here at Swedish House Crafts as part of the Guest Design Team today. 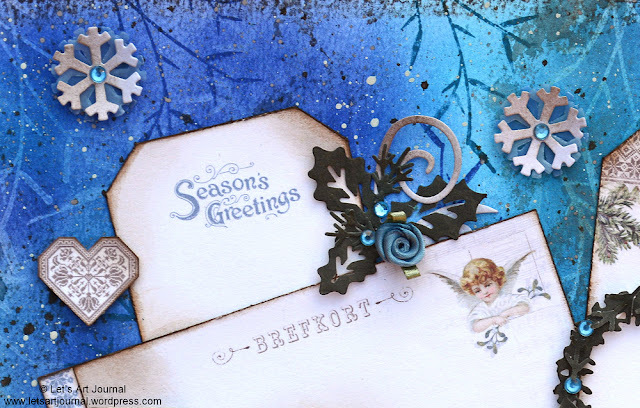 With the Christmas season almost upon us, I created an art journal page inspired by the Glistening Season Pion Design papers, a Gummiapan stamp, some of my favourite Tsukineko Inks and also some pretty Swedish House Crafts Fabric Flowers. 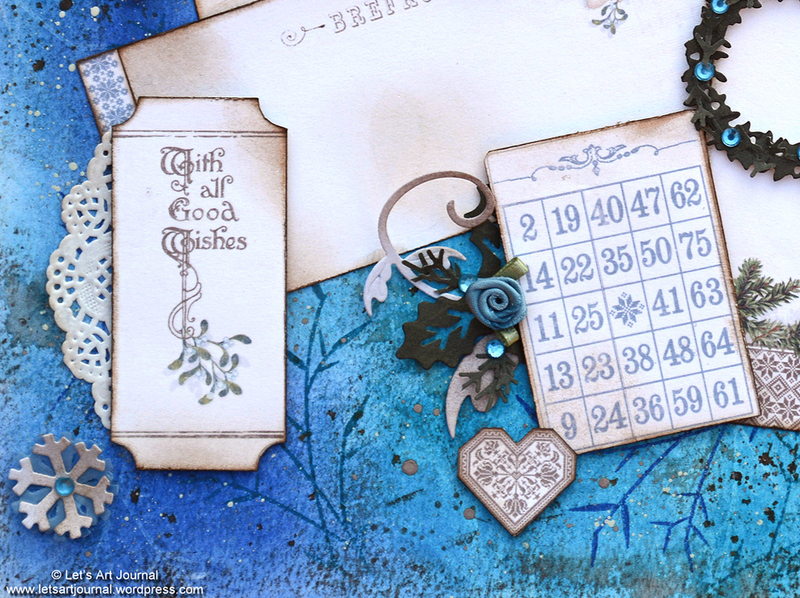 To start, I created this dreamy vintage background by stamping a Reed Plant stamp from Gummiapan using Versamark Watermark ink. 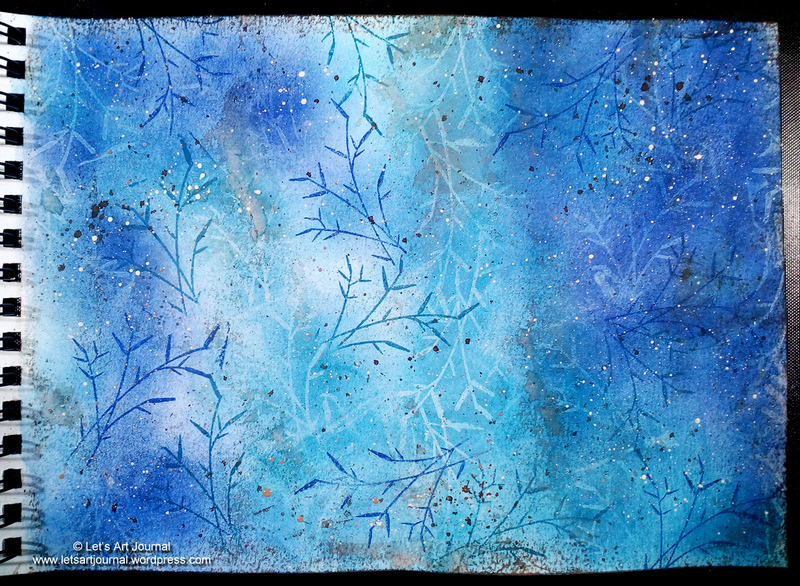 Then I coloured the page using Paris Dusk and Teal Zeal Memento Ink with a blending tool and added some Rich Cocoa Memento Ink and splatters of acrylic paint to give it more of a grungy look. 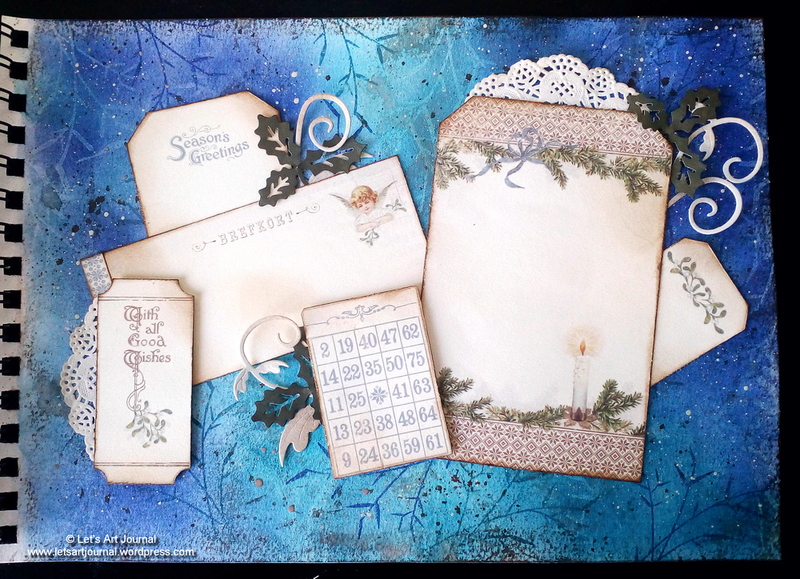 I cut out some of the images from the Glistening Seasons Pion Design paper and used scissors and Memento Inks to distress the edges, and then I arranged them onto the page with some die cut foliage and pieces of doily. I also added some snowflakes, which I created using the Pion Design paper, to the page along with some other embellishments including Swedish House Crafts Fabric Flowers and three hearts which were cut from the Pion Design paper. If you would like to see how this page came together, the full process is detailed on my blog here. Thanks so much, I have really enjoyed spending time with you today - Happy Crafting! This is amazing Jo! Gorgeous! 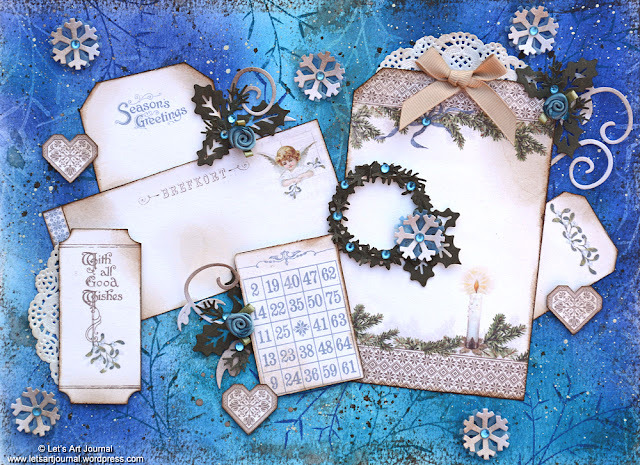 What a beautiful page by Jo - such lovely use of the papers over that fabulous inky blue background.